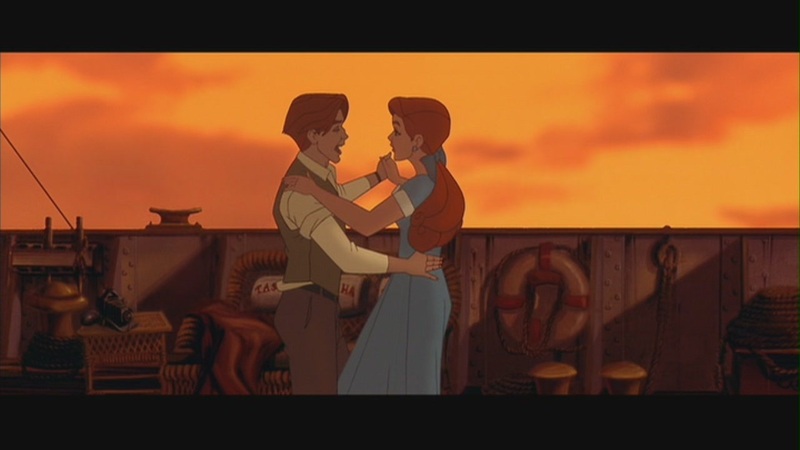 When I was a child I remember visiting my Grandmother and watching a bunch of Animated movies that she had on old VHS tapes, Anastasia just so happens to be one of those movies, as a kid I thought it was amazing and I watched it all of the time but now that I am an adult I haven’t seen the movie in 13 years. Was it as good as I remember? The first thing that caught my eye was that Anastasia was made by Don Bluth who is famous for some of the greatest animated movies of all time such as An American Tail, The Land before time and the Secret of Nimh. I had a strong feeling that Anastasia would be just as amazing as some of his other work especially since I loved the film with a passion when I was a child. Let me just begin by saying that the animation was incredible, everything in the film was extremely well detailed, the animation moved very smoothly and the use of a mixture of light and dark colours really helped build up the atmosphere for multiple scenes that were shown throughout the movie. 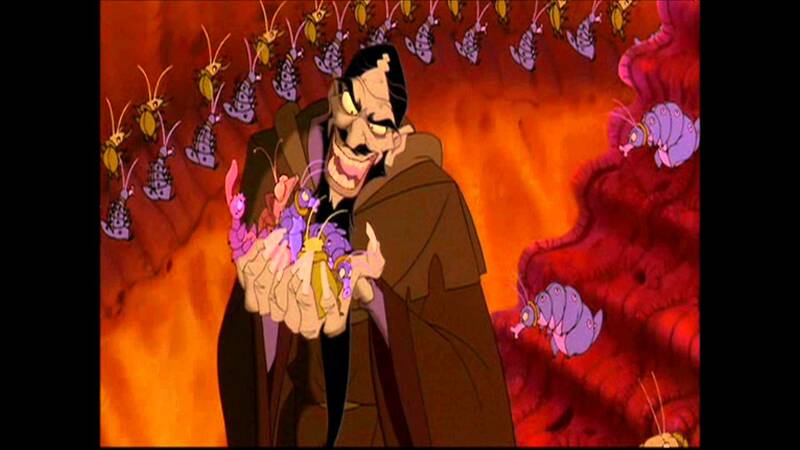 The animation blew me away and it can easily compete with the animation of some of the Disney films of the time. The movies plot was really cool if not a little hard to follow. A party is being thrown to celebrate 300 years of ruling of the Romanov Family, The Dowager Empress Marie is leaving for Paris and a very young Anastasia is sad that Marie is leaving. Marie gives Anastasia a music box so that she will always remember her, at this point the films villain Rasputin enters the palace and is immediately told to leave, Rasputin says that he will not stop until the entire Romanov Family are dead. Rasputin sells his soul so that he has the power to for-fill his dark purpose. With his new Dark powers Rasputin Controls the Civilians of the town to charge the palace, with little choice left the Romanov family flee Russia to find safety. 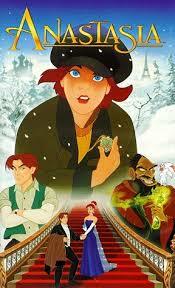 Anastasia and Marie are saved by a servant boy called Dmitri, Marie and Anastasia are about to board a train. Marie manages to to board the train but Anastasia does not, they grab eachothers hand but they slip from each other and Anastasia falls unconscious. We cut to 10 years later and Anastasia is leaving an orphanage to try and find her real family and to learn about herself and her past. The films plot is really well structured and it allows enough time for the audience to be able to understand and sympathise with all the main characters that are introduced throughout the movie. The music is really hit and miss with me because I love all of the instrumental music used to help build the atmosphere of certain scenes, its really well conducted and the final result being a combination of Choir and Orchestra is something really beautiful to listen too. I cant say the same for the voice acting or any of the songs that are performed vocally, all vocal performances seemed really emotionless it felt as if the actors and actresses didn’t really want to be lending their voices to the film and because of this it really makes the whole experience a little boring and hard to watch with the exception of Christopher Lloyd who voices Rasputin because he did a remarkable job voicing the films main antagonist, you could really tell that Christopher Lloyd loved playing this role in the film. I also did not enjoy the majority of the vocal songs for the exact same reasons as I previously stated again with the exception of the movies villain song which was catchy but I wont be adding it to my I-pod any time soon. Watching Anastasia again really reminded me of a lot of warm childhood memories but it deeply saddens me that I found so many issues with such an important movie from my past. I may not have enjoyed it as much as I had hoped that I would, but Anastasia will always be a very important film to me as it helps me remember what it was like being a little kid and visiting my Grandmother and even though my grandmother has not yet passed on, this movie will always be one of my fondest memories of her. Have you got any films from your childhood which are very dear to you?